As we are based in Malta, we have our own accommodation. This is a great advantage as you can find better prices than book directly with schools. Read more about how to find accommodation in Malta on our blog page. MaltaLovers will be helping you during your English Course. Do you need help finding a job, have a look to How to find a job in Malta on our blog page. Better than listen to all agents from each school, MaltaLovers can offer you a realistic comparison between each school and the advantages and disadvantages of each school. 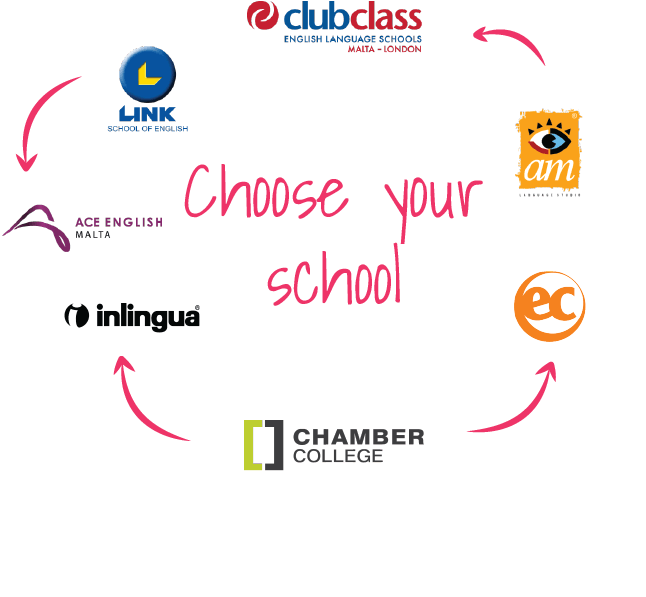 With MaltaLovers you ca choose your English School based on your needs. Working in an international environment is essential to building your English language skills, Malta’s multicultural community gives you the perfect opportunity to improve your English. Small school who takes care of students in a perfect way.